This is a contributed post by DragNFly Wireless, an ActiveCampaign Certified Consultant. Technology is changing quickly and you need to keep up to keep customers coming in your door. There are so many ways to use technology to increase sales: build an app, chat on social media, send text messages, create a fun VR experience, etc. Most of these rely on having a good Wifi network, but Wifi isn’t just the transport for your other tech innovations—it is also a powerful tool to increase your business. Managed Wifi marketing allows you to provide a necessary service to your customers without spending your time learning how Wifi works or the best network configurations. You can also use your Wifi network to gain contacts or learn more about them. You could buy a consumer router or use your modem’s Wifi signal for your guests. Plug it in, set your network name, choose a password, and start giving out Wifi! This checks Wifi off the list, but the work isn’t over yet. It’s the middle of your Labor Day sale and your store is packed with crazy shoppers. The checkout line is bordering on insane, and you’re sweating as you ring up everyone’s products. Suddenly you hear a loud grumble of people unable to use the Wifi. You really don’t have time to deal with this, but you run in back and reboot the router. Problem solved…for a few hours. Then it stops working again, and again the following day. Now your Wifi is just another headache that gets in the way of you running your business. This is a common problem because most consumer routers aren’t set up to handle the volume of a commercial space. That’s where a managed Wifi solution can help. DragNFly, and other service providers, build you a network designed specifically for your business, so the equipment doesn’t get bogged down. We also provide you with 24/7 monitoring and support, so if the equipment starts having problems, we can fix it for you. Your cable modem is most likely installed in your back office, and probably won’t cover all the way to the front of your store. We have designed a lot of networks since 2003, so we work with customers to make sure they have wall-to-wall coverage. Your Wifi works! Now what? Good news! Your new hire used to work in IT, so they set up your Wifi with a password and it is working great. Wifi is officially working for your guests, but you still need to give the password out. How many guests didn’t bother to ask? The idea behind guest Wifi is that everyone in your store can use it, so you’ll need to share the password with everyone. The local bar has their password written on a chalkboard for anyone to see. This makes it easy for anyone to access it, which is great, but it reduces the security of your network. You could just have your staff tell anyone who asks, but this takes up staff time and means that your customers may not have Wifi when they need it if there aren’t any staff nearby. Either way, you’re giving the password out to everyone and hurting your network security. Imagine you put new locks on your house after moving in, but you gave everyone that came to your housewarming party a key, so that you didn’t need to answer the door again when they came back. Now you’ve got 100 people that can get into your house whenever they want, and any of them can share the key with anyone they know. 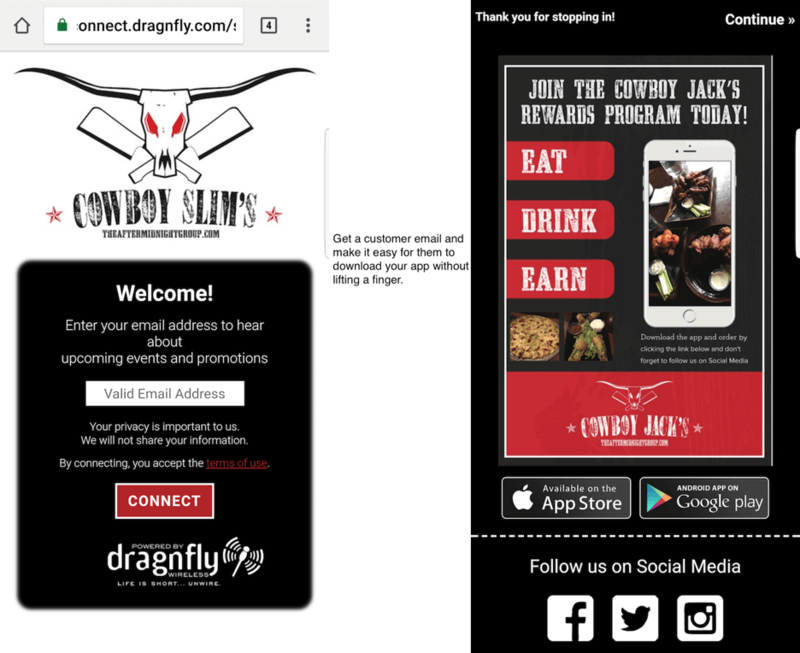 DragNFly uses a splash page accessible network with client isolation; let’s simplify this concept by thinking of your network like a hotel. Anyone can walk into a hotel, but to check in and get a room, you’ll need to give some information about yourself. Only after this exchange of information will you get a key to your room. The Key allows you to access your room, but not anyone else’s, or any other areas of the hotel. This is just like a DragNFly Wifi network. Your customers gain access to the Wifi by entering information about themselves. Once they give you that information, they will be allowed to access the internet from their device, but they’re isolated from other devices on the network. This is how a strong guest Wifi network works; data from your device can go out to the internet, but you can’t interact with other devices, and they can’t interact with you. The splash page provides a quick and secure way for your customers to access the internet and provide you with user data without interrupting your day. How does this help with your marketing? Now that you have Wifi working, you’re ready to set up your user experience. You don’t want to make it too hard to get on the Wifi, but you should get something out of the experience too. 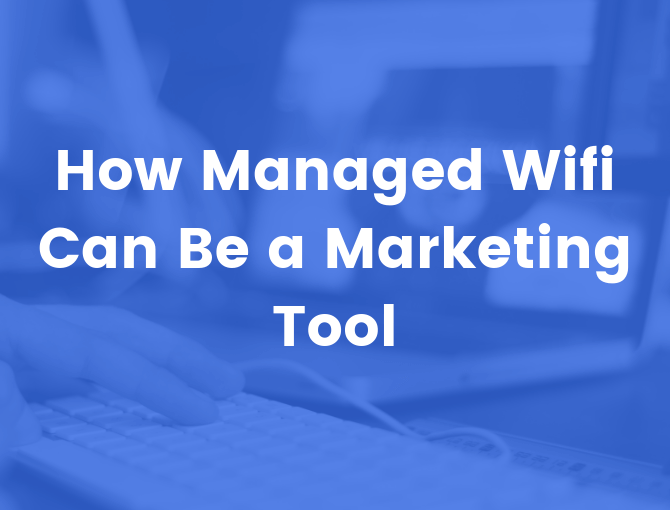 With a managed Wifi marketing system you can grow a verified marketing list, gather information to segment your contacts, and promote your apps and social media presence to everyone that walks in your store automatically. Any data collected is automatically entered into your ActiveCampaign account. You can use Wifi visits to trigger email messaging or reach out to customers that haven’t been in the store for a while. Remember, the majority of shoppers demand Wifi, so they’re willing to give you some information to gain access. A captive audience on Wifi is the perfect place to promote apps, new specials, social media, and loyalty clubs. 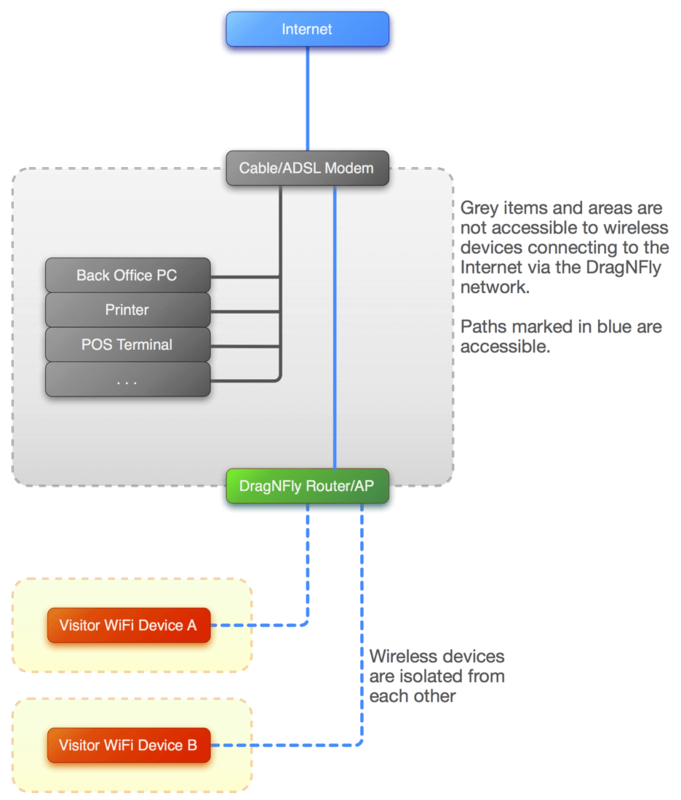 DragNFly Wireless specializes in providing managed guest Wifi to stores, restaurants, fairs, and more. Their platform has been built on over 15 years of guest Wifi experience and helps turn Wifi into a profit center. Find out more by visiting their website.